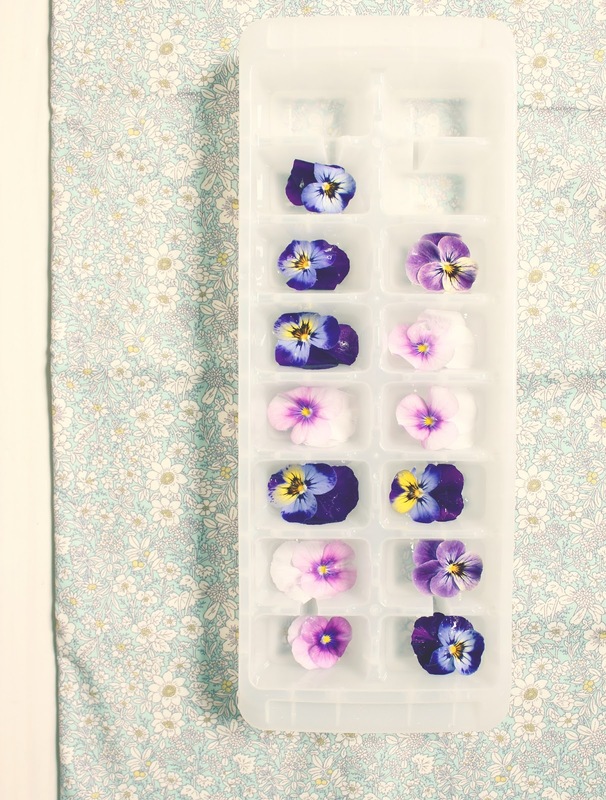 I made these viola ice cubes a few weeks, as I had friends coming for supper. I made gin and tonics and these ice cubes added a pretty, whimsical touch! I finished work yesterday and the children and I hit the road for a mini holiday at my parents house in East Sussex. I’m so looking forward to going on some day trips, and catching up with some photo editing and emails. July has been the most wonderfully crazy busy month, but it will be so nice to catch up with myself a little, and to watch the children enjoy the start of their summer holidays. Pop back soon as a flurry of posts will hit the blog over the next week, including my Styling The Seasons post for July, then I have a post up my sleeve about meeting the wonderful Rachel Ashwell last week! I’m also about to give the go ahead to my builder to do some work on the house which is pretty exciting! Love the violets awesome yea! !